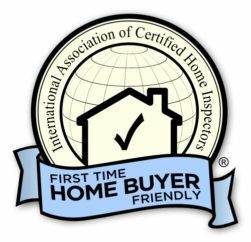 We’re first-time home buyer-friendly here at Glen Allen Inspections. Buying a home is a huge decision and one we don’t take lightly. You can expect your inspection will get the most professional attention and courtesy. We expect you’ll have questions about the inspection or details contained in your inspection report. Please don’t hesitate to ask. In addition, you’ll receive a valuable home maintenance book by the International Association of Certified Home Inspectors.